Click the photo to enter the MMB's web site. 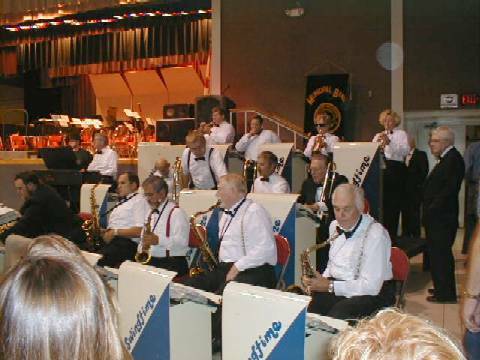 The Melbourne Municipal Band's Swingtime Band plays during intermission of a concert in April 2001. This web page requires a browser that supports frames, like a recent version of Netscape, Mozilla, Firefox or Internet Explorer.